PACE Networks are seeking to recruit a Warehouse Operative. The full-time position will be based at the company’s warehouse at Fosse Cross, near Cirencester, Gloucestershire. PACE Networks has a new role for a warehouse operative. This full-time post will be based at the company’s warehouse at Fosse Cross, near Cirencester, Gloucestershire. The post is based on working 8:30 to 17:00, Monday to Friday with a 30-minute break. The ideal candidate has some work experience and ideally has used computers in some form. Any experience in a technical environment would be an advantage. The role will involve assembling products for power and rail and a responsible attitude is necessary. There will be time working in a team and working alone. The ability to communicate and coordinate with others is needed as well as initiative when working alone. 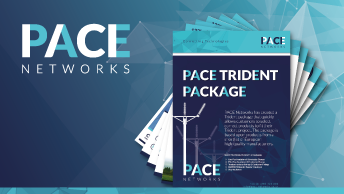 PACE Networks is a specialist technical sales and marketing company that partners with leading European manufacturers in the railway electrification, and power grid infrastructure markets. Thanks to these strong partnerships and a high level of engagement with customers, PACE has enjoyed consistent growth since inception in January 2012. 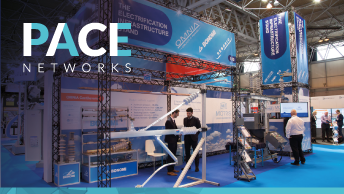 PACE supplies into 7 operators of high voltage networks in the UK and we’re ready to increase the team to support the next phase of growth. PACE is a growing organisation and there is room for the successful candidate to expand the role or move into other roles in the future. PACE Networks’ growth has been built on a strong work ethic and team play. Our focus is on getting the job done together and having fun in the process. Salary depends on experience and skills but will fall in the range of £16,640 to £17,680. In addition, we offer a generous holiday allowance, company benefits including pension scheme and health care cover, as well as team activities twice per year. To apply please send your CV and a covering letter to james.king@pace-networks.co.uk, or contact Gavin Smith on 01285 323 525 if you have any queries. Is it time to get ahead in your career?